Dezeen had its most successful year in 2018, with 25 million visitors to the site and more than 56 million total visits. Highlights of the year included our Bauhaus 100 content series and Move the Needle campaign, plus the release of our documentary film Elevation, which explores how drones will change our cities. We also delivered prestigious branded content projects, including a film for Emeco featuring playful animations by Jean and Nicolas Jullien, our P.O.D.System Architecture project with Adidas and ongoing Dezeen x MINI Living collaboration. This helped us achieve our 11th successive year of growth, in which we saw our audience size increase across all key metrics. According to figures from Google Analytics, the number of unique visitors to the website increased by seven per cent, while the total number of visits grew by six per cent. We also saw page views to the site, often called clicks, reach 110 million for the first time. March 2018 was the best-ever month for traffic on Dezeen too, with the total number of visits to the site just shy of 5.3 million. We also won several awards for the high quality of our journalism in 2018. Founder and editor-in-chief Marcus Fairs was named Digital Editor of the Year by the British Society of Magazine Editors, who described Dezeen as "inspirational and aspirational, understanding and doing fresh, original web journalism". Dezeen was then named Digital Service of the Year at the International Building Press Awards, with editor-in-chief Marcus Fairs also picking up the Multi-Media Journalist of the Year gong. We also picked up two two accolades at the Lovie Awards 2018 for Elevation. 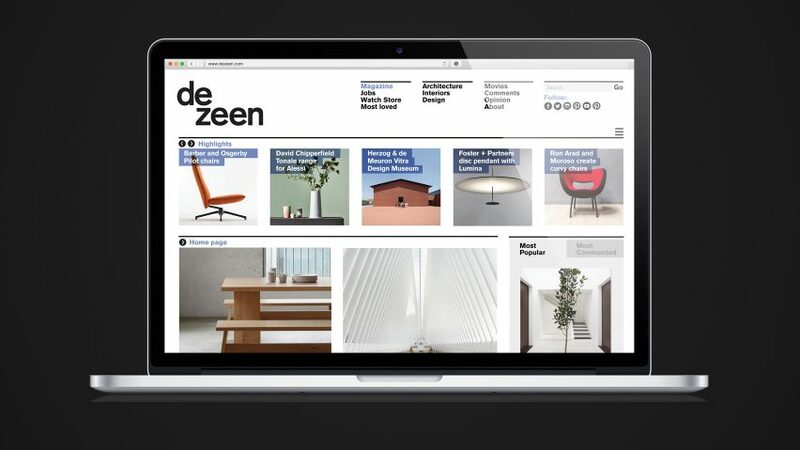 Dezeen continues to be ranked as one of the top 5,000 websites in the world, in the list drawn up by web data firm Alexa. The rankings show we are the most popular design website in the world, and the second-most popular architecture site in the world. This trend continues across our social-media channels, which grew significantly in 2018. We now have one million followers on Facebook, 1.8 million on Instagram and 920,000 on Twitter. It was a big year for video too, with over 30 million views across our YouTube, Facebook and Instagram channels. Plus the number of subscribers to our newsletters grew by 12 per cent, with Dezeen Daily now at 158,000 and Dezeen Weekly at 272,000. Thanks to all our readers for continued support! We hope you keep reading our stories and watching our videos in 2019.